wow that is a stunning sky! Thanks Becky 🙂 I am so pleased as I am a phone camera doubter too. I know they’re good on selfies and closeups but not so convinced about quality of landscape – then when I see a fabulous shot like this I am made to rethink! Oh wow you’re brave. Tried once but I didn’t like – I write too much! Having said that I do do most of my comments on the phone – and am doing that now! Just loving how you caught the moment. Hee hee……birds and boats are a bit like cats and children when photographing! Very beautiful! 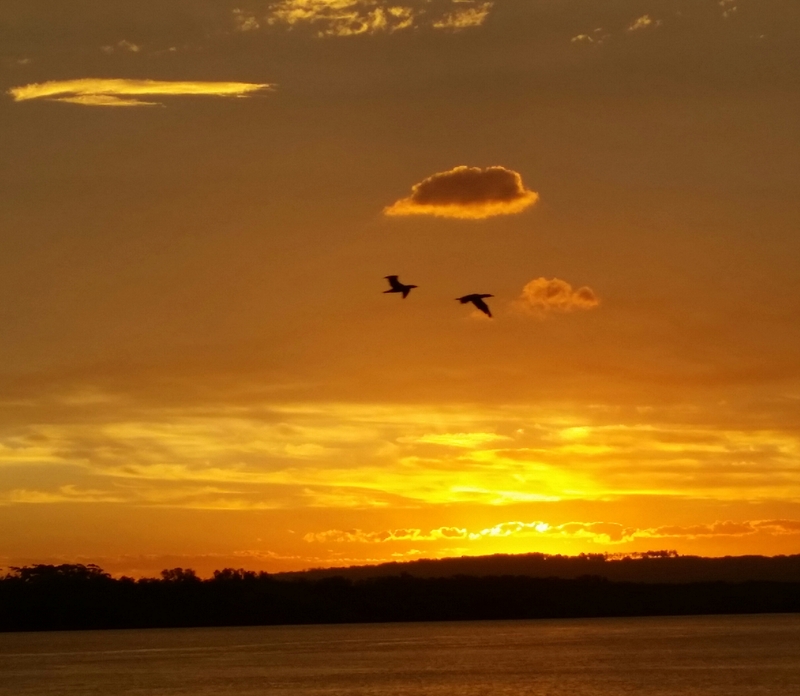 Catching birds with a sunset – that’s great! I’m glad to read that you took this pic with your phone, as I know you are a sceptic. Sunsets and sunrises go pretty good with phones (using the Pro functions). For birds and butterflies the phone is useless. But for many other insects, flowers, the sky and many more it’s fine. So that’s where my sunset disappeared to yesterday!